Learn how to maintain healthy gums all year around. 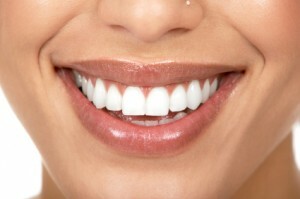 When it comes to dental hygiene, maintaining healthy gums is extremely important. Even if you have white and cavity-free teeth, you still aren’t safe from gum disease, which is one of the most prevalent diseases in the world. Gum disease is the leading cause of tooth loss, so you need to focus on taking care of your gums right now. Luckily, there are few simple tips to maintaining healthy gums. Everyone knows that it is essential to brush your teeth at least twice a day, but many people do not know when to change toothbrushes. A toothbrush head does not last forever and is actually a breeding ground for bacteria. So, it is essential that you change out your brush or electric brush head every three to four months, or when you notice the bristles become worn. You also do not want to cover your brush head; you need to let it air dry to prevent bacteria from growing. One of the most essential tips you need to follow is to floss on a daily basis. Flossing is one of the most effective ways to maintain healthy gums. Plaque and food particles tend to build up along the gum line and in between teeth, so flossing removes what brushing cannot. It is essential that you do not floss aggressively so that you can prevent cutting into the gum line. When taking care of your gums, you want to remember to use an antiseptic and therapeutic mouthwash. Rinsing with a mouthwash before or after brushing helps reduce plaque and prevents gingivitis from forming. Using a mouthwash is effective because the liquid can go through the tiny gaps in your teeth that brushing can sometimes miss. This entry was posted on Friday, October 5th, 2018	at 4:12 pm	and is filed under Gum disease	. You can follow any responses to this entry through the RSS 2.0	feed. Both comments and pings are currently closed.